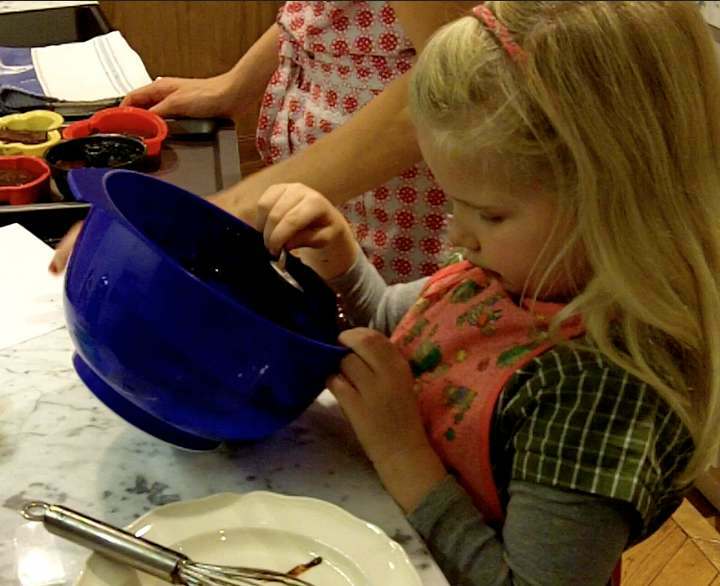 Here’s something for a rainy day: A quick and easy recipe for the most delicious chocolate cake. This classic French ‘Moelleux au Chocolat’ is much easier done than its name pronounced. And this is how it goes: Preheat the oven to 180°C (fan). Break the chocolate into little pieces and put it in a bain marie together with the butter. Let it melt over moderate heat. In a big bowl, mix sugar, eggs and flour. Add the melted butter and chocolate and mix well. Use a little brush to butter the ramekins. You can alternatively use a brownie dish or a shallow cake case. Fill them half way up – the cakes rise a little in the oven. Cook your cake for about 20-25 minutes, depending on the size of your ramekins. The bigger, the longer they will need. When you take them out, the cakes will not be completely cooked. That’s exactly what you want. Let them cool for another 20 minutes before you turn them out of their cases. *I used gluten free flour this time, and it worked a treat. And what a tasty cake it was! Yummy! She is getting so big!